She's done it. Serena Williams is the 2015 Wimbledon champion. 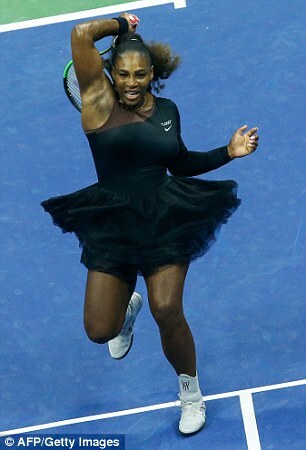 She's completed her second Serena Slam, her sixth Wimbledon, and won her 21st Grand Slam title. It's hard to remember when a Williams wasn't dominating. I'm not a huge tennis fan, but whoa! Australian Open finals - Rafael Nadal vs. Roger Federer and Serena against Venus Williams. There may never be another finals with more collective lifetime talent. How bizarre. Where's RBG when you need her? What I want to know is whether continuing to wear the shirt backwards would have also been a code violation. You have too wonder whether this would have happened to a white player. Either way, it turns out that the sticks up the French Tennis Federation's butts are not a dress code violation. I don't care if they wear clown suits, either they're good tennis players or they're not.